iPhone just like any other smartphone out there has a battery life that isn’t perfect. For most people their iPhone does not survive a whole day of partially heavy usage which could include gaming, music, web browsing and occasional video playing. However there is a way to boost the battery life of iPhone 5s or iPhone 5 using a battery extension case. While it is not the most ideal solution for this problem it certainly helps and can essentially double the battery life of your device. Here are some of the best battery extension cases out there that you can consider buying. Most of them are capable of doubling the battery life of iPhone and are compatible with both iPhone 5s and iPhone 5. 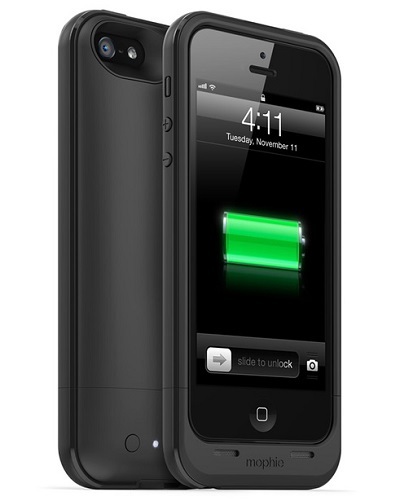 The Mophie brand is known for its Juice Pack line up of battery cases for iPhone. The Mophie Juice Pack Plus lives up to company’s reputation by providing approximately 120 percent additional battery life with its 2100mAh battery. This means 10 hours of extra talk time. The case features soft touch finish and is capable of resisting impacts in case you drop your device. It features a standby switch as well as a LED power indicator that keeps you updated with how much power is left in the case. Mophie Juice Pack Plus works with both iPhone 5s and iPhone 5. It is available for $95. 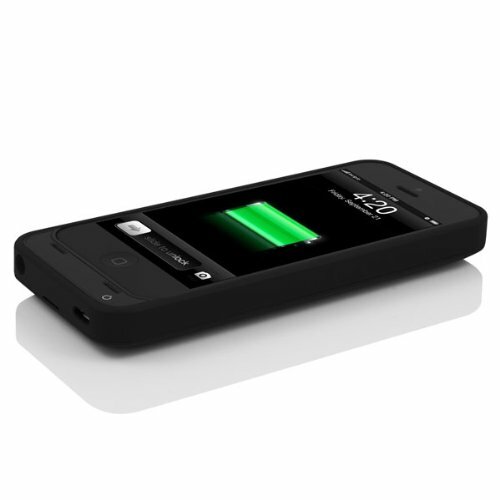 The Incipio OffGrid Backup battery case for iPhone supports both iPhone 5 and iPhone 5s. 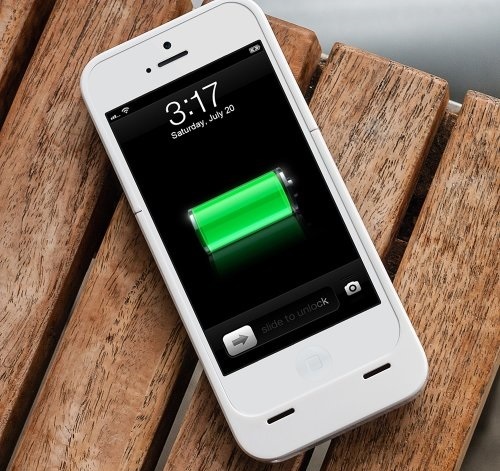 It features a simple design and capability to boost iPhone’s battery for up to 6 hours of extra talk time. It is equipped with a 2,500mAh battery and sports camera cutout, headphone jack, USB port for power and sync as well as four LED indicators for battery. You can buy it for $59. The Belkin Grip Power Case supports iPhone 5s as well as iPhone 5. It packs a 2,000mAh battery, which promises to double the total battery life of the device. This battery case for iPhone features a shock-resistant bumper that provides a good grip while holding the device. Are you an iPhone photographer? If yes then you will be pleased to know that it has an anti-glare camera ring that prevents it from ruining your perfect photos. It has cut outs for headphones, microUSB charging cable as well as four LED battery indicators. 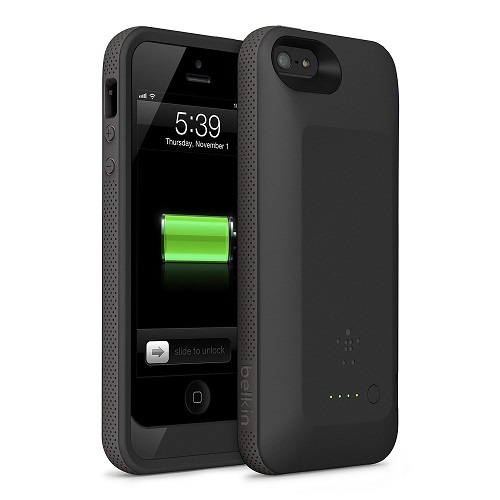 You can buy Belkin Grip Power Case for iPhone 5s and iPhone 5 for around $73. The uNu Power DX External Protective case for iPhone 5 and iPhone 5s comes in three colors and a one year warranty. Available in white, matte black and red colors this battery case for iPhone gives a 100 percent boost to its battery adding 10 hours of extra talk time. It has a 2,300mAh battery that once fully charged shows how much juice is left in it through the LED indicators. 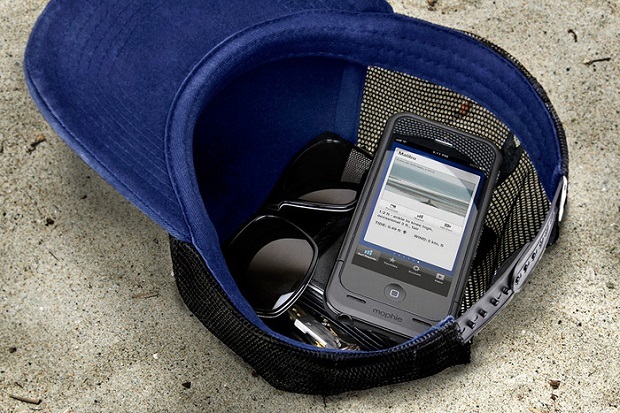 This case features a microUSB port, cut outs for headphones, camera and buttons. Apart from adding extra power to your iPhone this case also protects the device from all sides. You can buy it for $70. This simple looking battery case protects your device while doubling its battery life with its 2,300mAh juice pack. This slim case features a rubberized design that not only prevents your precious iPhone from getting scratches but also minimizes the impact in case you drop it. This case provides access to all ports and allows users to charge as well as sync their smartphone with its microUSB port. 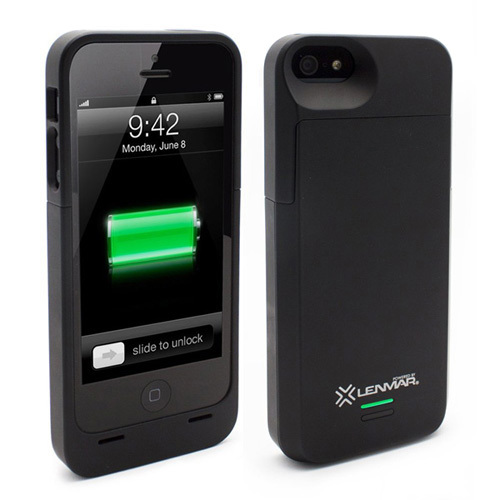 One of the greatest features of Lenmar Meridian Extended battery case for iPhone 5s and iPhone 5 is that it allows users to charge their iPhone and the case simultaneously, which means you can charge both of them without having to remove the iPhone. It comes in black color and has a LED power indicator as well as an on/off switch. You can buy it for $55.